New Year’s resolutions? What are those? Let’s be honest, we’re three (nearly four) months into the year and most of us have probably broken all of those by now. For those still going strong; we applaud you. What we should be thinking about are our travel bucket list ideas for this year! Basking in the sunshine, hiking the most spectacular landscapes, capturing a glimpse of rich wildlife, and taking photos of the world’s iconic landmarks; whatever your travel aspiration, there is plenty of inspiration packed into our Top Bucket List Picks Across the Globe for 2019! 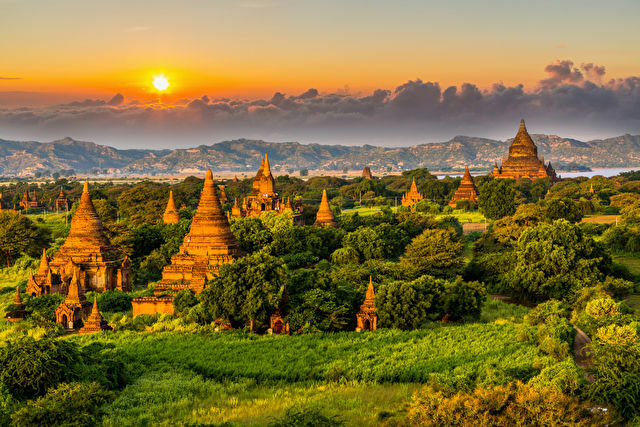 Spread across the plains of the ancient city of Bagan, southwest of Mandalay, lie the most impressive testament to religious devotion from Mynamar’s people over the centuries – thousands of intricately-designed temples. Bagan’s Temples are also one of the most precious archaeological sites in the continent of Asia and give you the chance to experience and fully understand the life and religion of the people here. The best way to explore the temples is to take an exhilarating hot air balloon trip to soar the skies and admire idyllic countryside views as you cast your eye over the city’s complex. 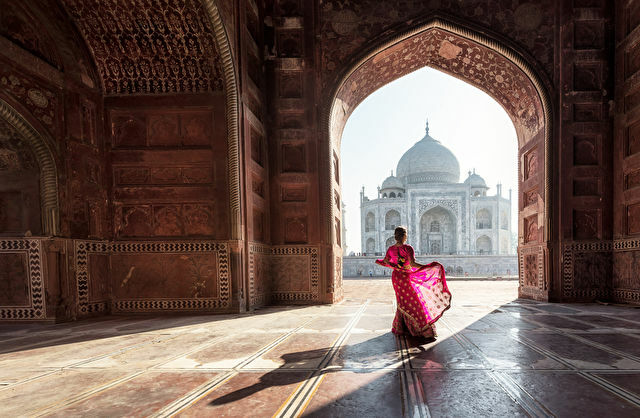 A UNSECO World Heritage Site, the immense white-marble Taj Mahal is a stunning mausoleum that was built in the Indian city of Agra in memory of the Mughal emperor Shah Jahan’s favourite wife. It’s a universally-admired masterpiece and Muslim jewel of true art in India. The architecture combines influences of Iranian, Islamic, Indian, and Persian styles with magnificent buildings, gardens, lakes, and fountains. It has been said that 20,000 stone carvers, masons, and artists from across the country, Turkey, and Iraq were tasked to build the Taj Mahal on the banks of Agra’s Jamuna River; it was completed between 1631 and 1648. Check out this respected work of art year-around, apart from a Friday when the Taj Mahal is closed. Lions and tigers and bears… Oh wait, you won’t spot any bears in Africa! Nevertheless, an abundance of fascinating wildlife awaits as you tour the habitats of a vast range of species across the region. 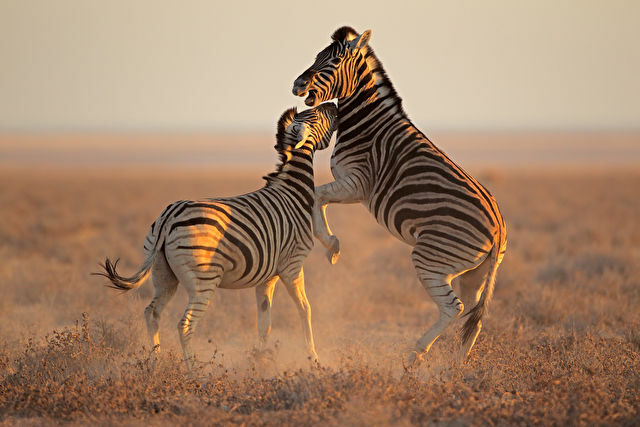 Take a self-drive to explore the sights of Cape Town and experience up-close encounters of monkeys, elephants, and rich birdlife. Why not stay at a safari lodge for a sprinkle of luxury? Spot the unique African white and black rhinos on a thrilling safari drive through myriad landscapes. Other fascinating must-sees in Africa include walking the ice-capped summits of Kilimanjaro, observing the captivating Victoria Falls, and attending South Africa’s world-famous musical festival Rocking the Daisies. A mesmerising feat of ancient architecture, the Great Wall of China and its winding path over rugged country and tall mountains takes in some of the most picturesque scenery. Built by a multitude of states to protect different territorial borders, the wall is 21, 196.18km long and would realistically take 18 months to trek the entirety. However, challenge yourself to a portion of the journey with a 1-2 hour walking tour to conquer some of the fascinating landmark, sightsee the surroundings, and take pictures. Alternatively, sleeping on the Wall during longer tours can be a unique experience where you can embrace the history and nature under a starry sky. For those who are exhausted by the thought of walking, viewing the Wall from the air by helicopter is a beautiful adventure and the perfect opportunity to capture dreamy images of the country’s icon. Just off the coast of Belize, the Great Blue Hole is a giant underwater sinkhole and one of the most famous destinations for scuba diving enthusiasts. Dive into the crystal-blue waters to catch a glimpse of millions of marine life species, including magnificent coral formations and blacktip tiger, bull, or hammerhead shark, Pederson's shrimp, neon gobies, angelfish, groupers, and purple seafans. Giant stalactites, dripstone sheets, and columns can also be found inside. 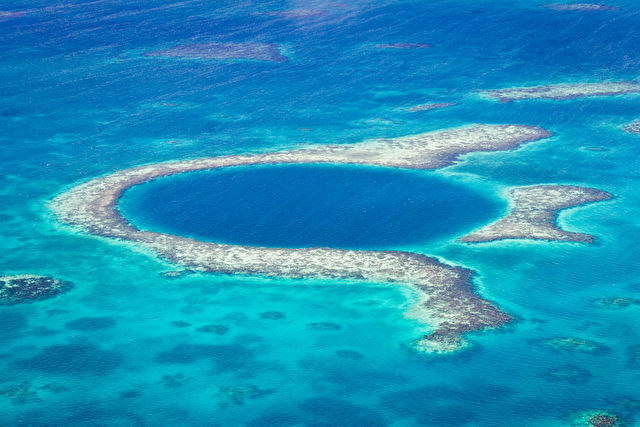 The world’s largest natural formation of its kind, the hole is also part of the Belize Barrier Reef System. 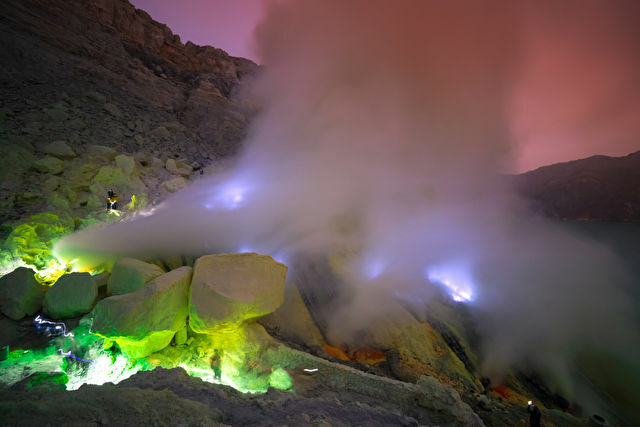 On Java’s island in Indonesia, Kawah Ijen Volcano is an alluring location at night to observe stunning blue lava-like rivers of light caused by a combustion of sulfuric gases to create one of the most unusual occurrences on Earth. At the top of the volcano, the Kawah Ijen Crater acid lake is filled with spectacular blue water said to be due to the acid. To get a sight of the blue light you’ll need to trek just over four miles to reach the volcano’s crater with just the moonlight to guide you on your adventure – you’ll also be required to wear a gas mask. While marvelling at the sheer beauty that lies ahead, you may notice dozens of sulphur miners from resident villages around the base of the volcano. It’s advised you take a guide with you on this expedition and be sure to tip the miners generously. A desert paradise complete with a dreamy lagoon, expansive sand dunes, and nestled by palm trees is the sensational oasis of Huacachina, just west of the city of Ica in Peru. Some of the most popular activities include sandboarding and rolling over the soft sands in a dune buggy. There are also plenty more exciting things to get up to in this charming village, including winery tours, flights over the world-famous Nazca Lines, and boat tours to see Humboldt penguins and sea lions. 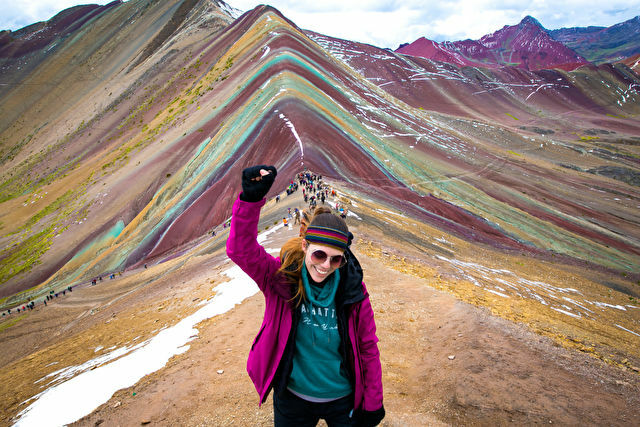 Three hours away from Cusco in Peru you’ll find the eye-catching Rainbow Mountain, otherwise known as Vinicunca Mountain. Its many spectacular colours stem from its sedimentary layers that have been exposed for many years to environmental conditions and mineralogy. Combining the weather and high altitude it can make a challenging hike but a rewarding one. Over 17,000 feet, the mountain is only slightly lower than Everest Base Camp. Day hiking up it is mostly a gentle slope but the altitude may slow you down if you’re trying to walk and talk at the same time! It’s time to start planning your next adventure of a lifetime! Which of these tickles your fancy?